I recently had a chat with Bev Short, Vitality Coach and Menopause Specialist from New Zealand, on her YouTube channel. Bev’s focus is to work with women over 40 around the world to transform their health, energy, menopause symptoms and happiness. One of Bev’s key messages for her clients is to get good sleep. Unsurprisingly – Bev and I are markedly aligned on this matter. I shared a post recently on my Facebook page (which everyone is warmly invited to ‘Like’), sharing a Time article. The focus of the piece was to further extol how incredibly important sleep is. While the article focuses on research findings from Mark Zielinski, who teaches psychiatry at Harvard Medical School, it included this piece, which I must say, made my heart leap. The reason my heart leapt is because for the last couple of years the importance of sleep has been increasingly reported. When we’re at the point where scientists (and this includes Zielinski too) start to recognise and report that for your health, it’s NUMBER 1, then call me simple…. but my heart leaps. Sleep being the most important aspect of health maintenance might make some people think twice about sleeping with a disruptive partner and do something to change their sleeping arrangements. I feel that passionately about changing our social paradigm. I’m easily pleased it would seem. But back to my chat with Bev. Bev’s work with women of the 40+ age group focuses on bringing all the elements of what makes any person ‘healthy’. 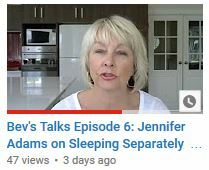 In many non-YouTube video conversations with Bev, we have spoken about sleep – hers, mine, and that of her clients, and how she hears–as I do often–that women are so easily persuaded to give up their need for sleep, in favour of their partner’s want to share a bed. But. 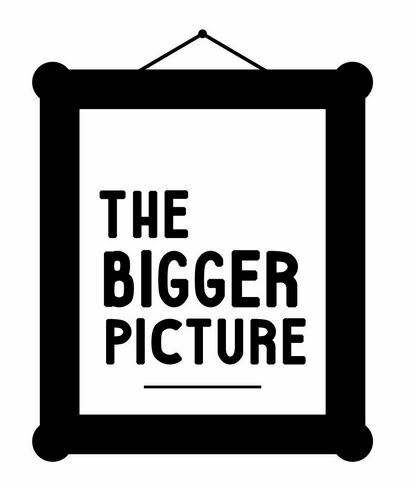 There is a BIGGER PICTURE. Bev’s message, my message, and now an increasingly loud voice in the scientific community is ‘make sure sleep is a priority for your health’. If you care about YOU, put yourself into the BIGGER PICTURE. And for goodness sake, get a good night’s sleep tonight. PS – Bev has a free e-book to share called Secrets to Successful Sleep for Menopausal Maidens that she will provide if you make a Health Strategy Call – sounds like a great opportunity not to miss!